Want to understand global markets and harness the international market potential? Interested in learning how to create a real go-to-market plan? Then this course is for you! 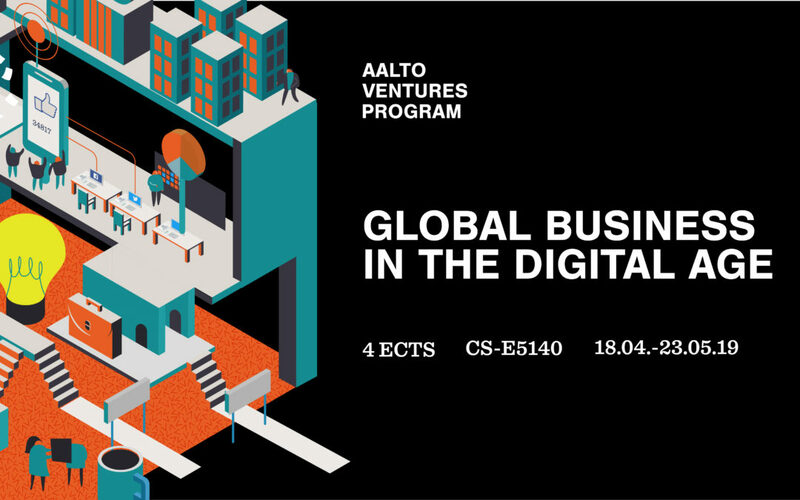 During Global Business in the Digital Age course, you’ll learn how to launch products or services on international markets. The course is very practical and in teams, you will develop an executable go-to-market plan for real companies with international goals. In addition, during the weekly lectures, you will build a theory base for internationalization and hear case examples from expert guest lecturers like Veijo Komulainen, the Counselor of Commercial and Trade Affairs at Consulate General of Finland, New York.